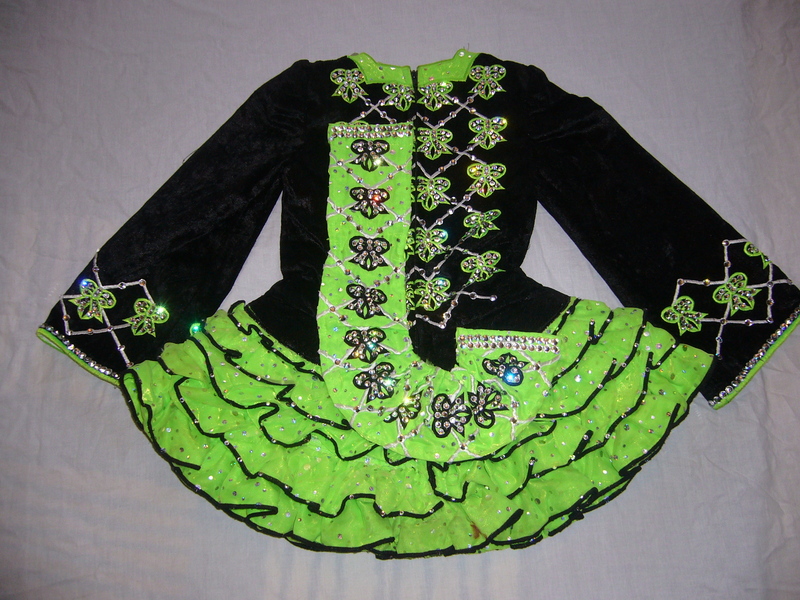 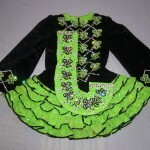 Stunning green and black irish dance dress very good condition. 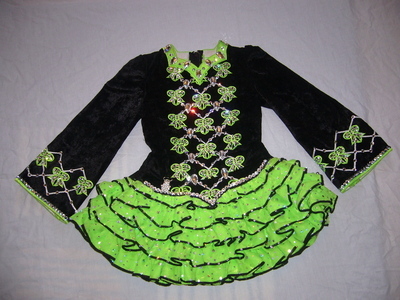 Covered in Swaroski crystals, bodice is black velvet and the skirt is soft ruffles encrusted with sparkes – large teardrop diamantes around the neck and throughout the bodice. 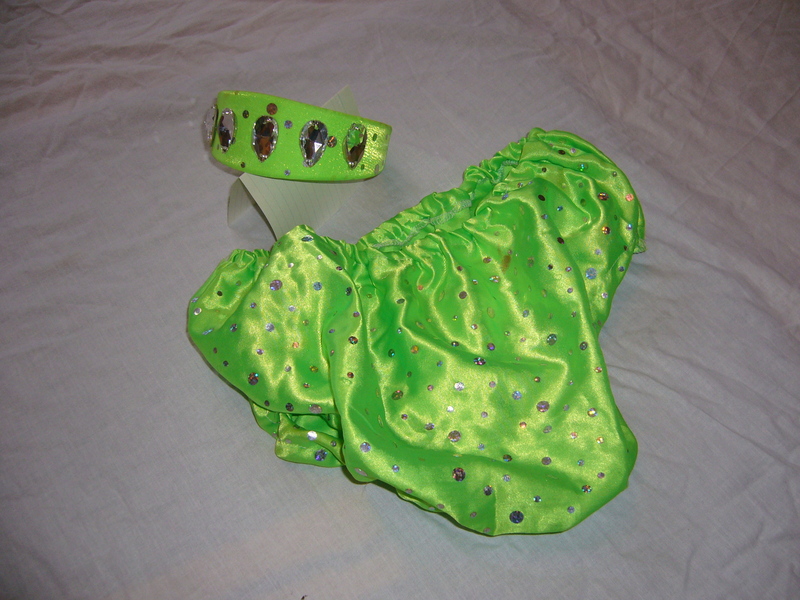 Matching headband covered in crystals and green bloomers included in price.